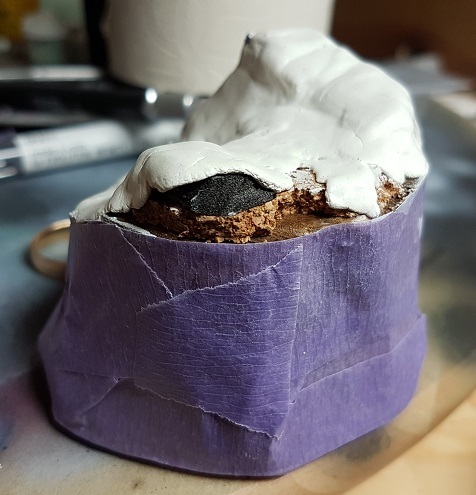 I am now starting the work on Arinthuil and the base that he will stand on, there is some new things for me in this project and challenges. 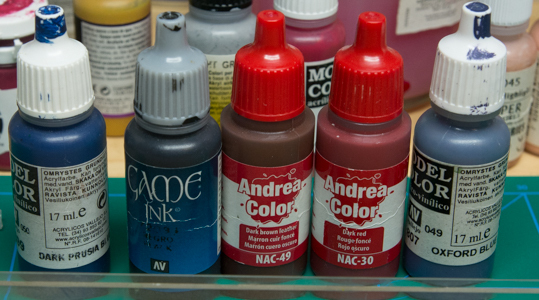 The two biggest is the light direction and making of the base to get a realistic looking sand base. 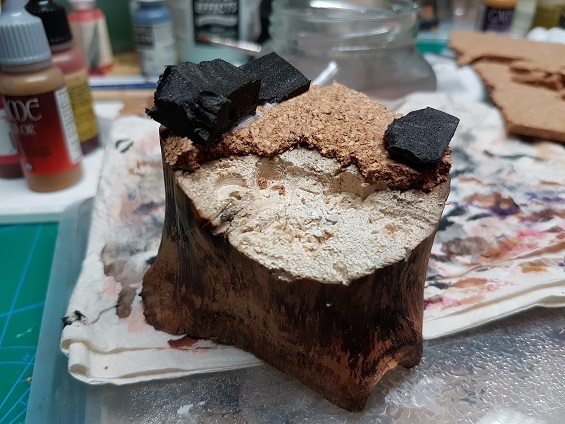 I started out by carving/drilling out part of the wood base to get a slope on the front of the base, this since the figure will be “walking” down onto the beach. After that I added some cork and styrofoam and glued it into place to give some more height in some areas. Next step i tape the base to protect the wood from the coming work, after that I started to put Milliput all over the base. 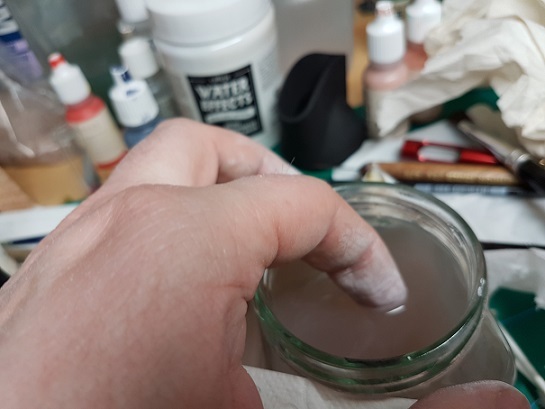 I then proceeded to cover all of it and used my finger with some water too make the areas smoother, not to important at this stage since I will need to add more Milliput onto the base later. 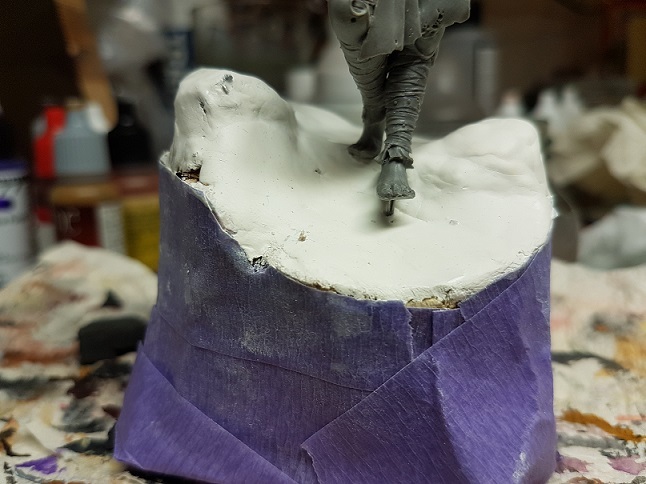 I then placed the figure onto the base to see approximately how much elevation and changes I need to do in the next step. 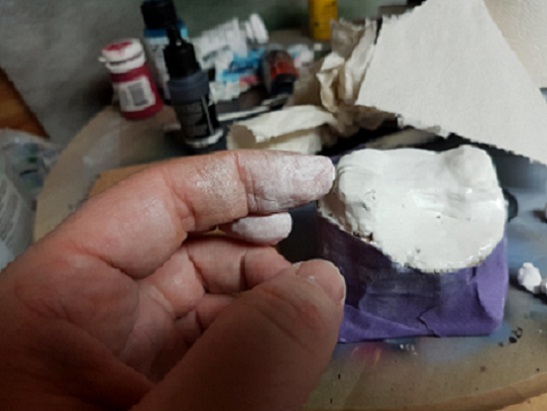 to add more Milliput and sculpt the sand “dunes” onto the base. put the grass tufts in the correct places. add sand looking material onto the base. 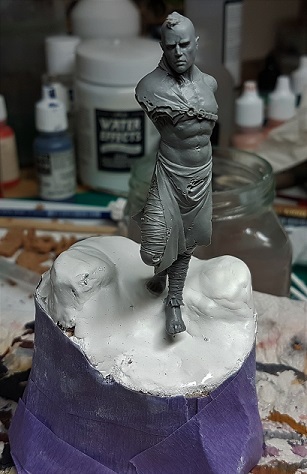 I have also started to paint the figure, first I primed the figure then I masked all of the figure except the cloth for the figure and started to use my airbrush, sadly it is nor behaving as it should and I didn’t reach a smooth transition. This made me redo the whole figure and just use grey to white transitions on the figure to continue to paint it with a normal brush instead. 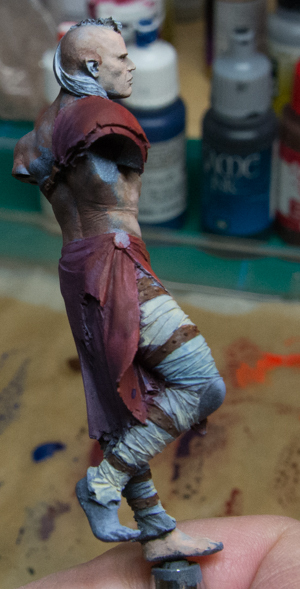 Since the light will come from the front of the figure, the backside will me more dark. I then proceeded to put paint onto the figure, a bit of sketching, wet blending to get an approximate start and feel for the light setup. 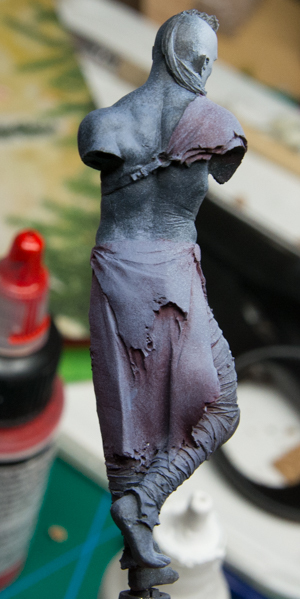 After that I have started on the skin and also done some more work on the cloth areas on the figure. 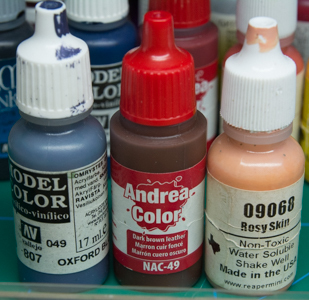 Below is the whole range of colors for the cloth and the starting colors for the skin. With the added range of color i made the light situation more clear, still a lot of work do to, I have mainly worked on the lighter part and need to go back and give some more attention to the shadow on the front part. 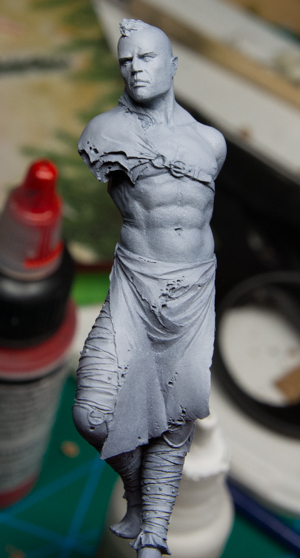 Regarding the skin it is just a base with some transition made from front to back of the figure. 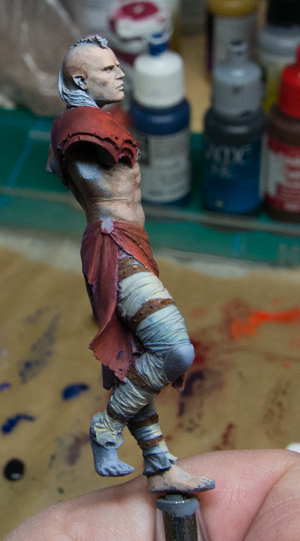 That is as far I have done, next step on the figure will be to work more on shadow areas, also decide the color on the leg cloth and sketch in the light situation on legs and work more on the skin overall.